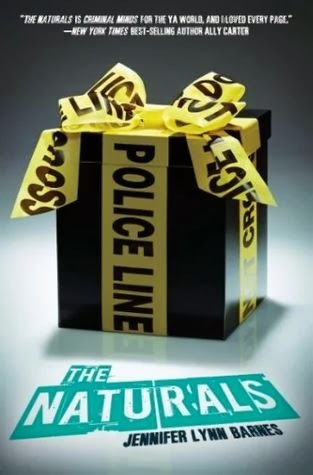 Cassie joins the FBI for a special project they’re doing with teenagers called Naturals, who are people who have a natural ability that could benefit the FBI, such as reading emotions, detecting lies, and profiling. Someone is killing people with red hair. Cassie puts two and two together and realises that the murderer is killing people who look like her dead mother. Cassie and co. investigate as much as they’re permitted to by Agent Briggs. It turns out that the murderer is Agent Locke, who is Cassie’s mother’s sister, who held a grudge against her sister for leaving her with their abusive father. Locke shoots Michael and knocks Dean out. Locke tries to kill Cassie, but Michael shoots her. Cassie is a natural profiler. Her mother was murdered when she was younger, and she went to live with her father, who then joined the armed forces. She now lives with her Italian grandmother. Whilst at work one day, she “meets” a guy called Michael, who leaves a business card asking Cassie to call Agent Briggs from the FBI. Cassie calls Briggs, and he asks her to join the FBI for this new project that they’re doing with Naturals – people who have a natural ability to read people and situations, who are perfect for the stuff that the FBI does. Mainly hunting for serial killers and investigating abductions. Cassie agrees to join up with the FBI because she believes it is what her mother would have wanted. After an intense discussion with her grandmother, she jets off to a house where the rest of the Naturals are staying. Here Cassie meets Lia, a natural lie detector; Sloane, who is basically a genius; Dean, who is also a profiler like Cassie; and another FBI agent called Locke. Michael also lives there. He’s good at reading emotions. Agent Locke starts taking Cassie and Dean to the shopping mall for their “lessons”. To begin with, she asks them to read a woman, and, later on, a car. The next day she asks them questions about an abduction case, where a young girl was taken from a store. Dean tells Cassie that a girl was drowned by someone in a pool, and one of the fake crime scenes at the house depicts this crime. Lia sets up a game of Truth of Dare, which ends with Cassie kissing Dean. Locke and Briggs have to go out on a case, leaving Cassie to read old case files in the library. She discovers that Dean’s father was a serial killer. She confronts Dean, who gets upset and tells her that it took a long time to catch his father. This is the reason the FBI chose Dean for a project. Lia brings Cassie a tube of lipstick as a gift. It’s the same kind as the one Cassie’s mother used to wear. Sloane steals a USB containing the files on the case that Briggs and Locke are currently investigating. She, Michael, and Cassie look at the files. Cassie figures out that this could be the same person who killed her mother, because they are going after the same type of person, and dying their victims’ hair red. Cassie is distressed. Briggs and Locke find out about the theft and tell the teenagers to stop it. They wipe Sloane’s computer, but they overlook Michael’s, which has copies. Cassie receives a parcel in the mail, which is brought in by Lia. It contains a lock of red hair, and is obviously from the killer. Sloane comes across a second parcel, but they don’t open this one in case they compromise the evidence. Briggs opens it instead, and inside if a lock of blonde hair, and a photo of the victim. It’s a senator’s daughter. The agents go to Club Muse, where Genevieve was last seen. This time, they take Cassie with them, since the killer obviously wants her involved. In the bathroom, Cassie sees a code that spells out “For a good time, call Lorelai. Guaranteed plus one. Kola and Thorn.” Lorelai was her mother’s name. “Kola and Thorn” is an anagram for a street, which the agents then go to. They discover a house with a room that looks just like the crime scene of Cassie’s mother’s murder. Back at the house, Cassie figures out that whoever is doing this had replicated her mother’s crime scene, and therefore much have inside knowledge about the case. The same blood smear was on the light switch, which was put on the original crime scene by Cassie after her mother was murdered and the killer had left. The killer could well be inside the house. Cassie calls Agent Locke, who tells her to go to a safehouse. Cassie and Dean reach the safehouse and come across Michael with a gun. He’s blaming Dean. Michael is shot, and Cassie turns around and sees Agent Locke there. Locke knocks Dean out, so it’s just her and Cassie. She reveals that Lorelai was her sister, making Locke Cassie’s aunt. Lorelai left Locke at home with an abusive father when she was just twelve, because Lorelai fell in love and fell pregnant. Lorelai said she couldn’t take Locke with her, because she wasn’t legally allowed to. Locke had been travelling all around the country, killing people who reminded her of her sister. She had initially planned on killing Lorelai herself, but someone else had gotten there first. She’s the one who suggested Cassie for the program. Locke stabs Genevieve after trying to make Cassie do it. Cassie distracts Locke, enough so that Michael can grab a gun and shoot her. Michael tells Cassie to figure out how she feels about him and Dean, and he’ll be there waiting. Naturals – People who are naturally gifted at something, such as profiling, lie detecting, reading emotions, or who display genius level intelligence. UNSUB – Unknown subject. The unidentified murderer/killer/kidnapper. Love this are you going to do a recap for the others in the series? Well I got up to finding out it must be someone in the house and scared my self silly so had to stop reading! It was such a captivating book that the story has stayed with me for over a year unfinished, I had to know how it ended. After 30 minutes of trawling the internet looking for the plot I finally found this. Thank you for giving me the closure to this story I couldn’t give myself! Thank you so much!! Your recap was so helpful. I’m about to read The Naturals: Killer Instinct and couldn’t remember what had happened in the previous book!! Now, at least I won’t be super lost…haha, thanks! Is this the complete summary of the book? Is this all the main points went down in the book? good information but got a paper due tm anybody wanna help? The only thing I really remember from this book is the absolute panic I had reading the scene where Michael followed Cassie and Dean. The two boys are accusing each other of being the killer, Cassie doesn’t know what to think, cause they’re both making compelling arguments and I didn’t want it to be either of them. I couldn’t read it alone, I had to call my friend so she could panic with me while I read it aloud. I distinctly recall flinging the book and freaking out when Michael got shot cause I thought Dean did it. And then I picked up the book, finished the chapter and felt so much relief when it wasn’t Dean but Locke. I was so stressed out after that I had to just put down the book and relax before I could continue.